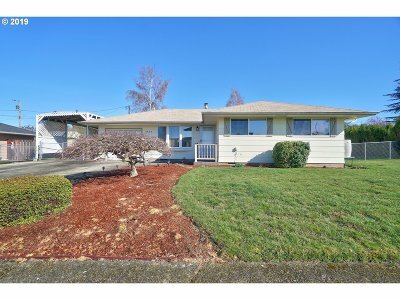 OPEN HOUSE SATURDAY 3/30 FROM 1 TO 4 PM! Charming 3 Bedrm Mid Century Home perfectly situated on a large corner lot in quiet neighborhood. Original wood cabinets in kitchen are in great condition. Hardwood floors in bedrooms and under carpet in hall, living&dining rms. Central AC. Vinyl Windows. Huge covered back patio for indoor/outdoor living. Shed. Covered RV Parking. Built-in Cabinets in Garage. Don't miss this one!